Fort Wayne, Ind. (WANE) – Fort Wayne’s Voices of Unity Choir is busy in the final days before its European Tour. The choir will leave Wednesday, June 29 and return July 14. After singing selections during Mass at The Vatican, Unity will perform in Venice and Vienna, Austria and wrap up with a competition in Budapest Hungary. While performing overseas Unity will represent the Hoosier state in the Indiana Bicentennial Legacy project. “It’s really incredible to see the Voices of Unity be given that type of recognition from the state, ” said White. 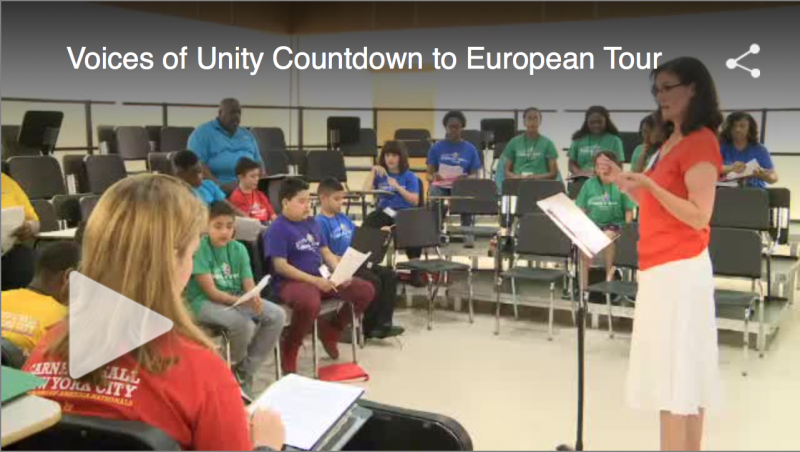 NewsChannel 15 anchor Terra Brantley and videojournalist Jake Weaver will join Unity for the first half of the European Tour. Look for continuing coverage on WANE-TV and wane.com.